At Happy Days, we want to help people live well with dementia. We also want to help carers enjoy their time shared with the person they are caring for. Starting up a conversation isn’t always easy. Our materials are easy to use and specially designed to help you enjoy meaningful conversation with the person you care for, assist or visiting. We won’t leave you alone, wondering how to use our materials or working out what to say. That’s why all our materials include a conversation prompt card and where necessary, we include carer guides too. 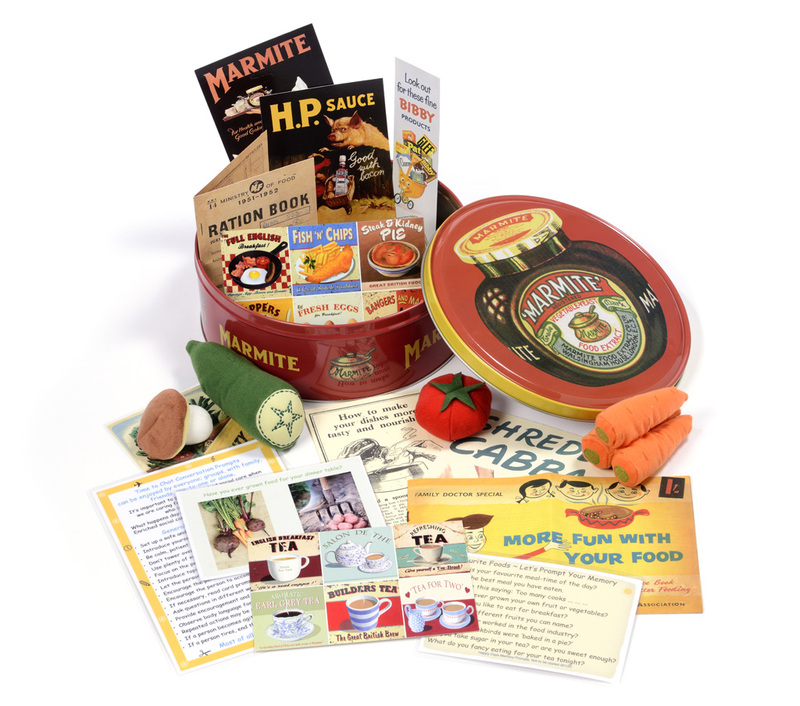 All of our Memory Baskets are packed with nostalgic artefacts, practical reminders and include a pack of replica memorabilia, postcards, photographs, conversation prompt card, response card or quiz and carer guide. Nostalgic containers ~ We include conversation prompt card and carer guide to help enrich social care. Nostalgic mini-containers include replica collector cards and carer guide. Nostalgic gifts ie: Walls Ice-cream van, Paper planes or Jolly Golly also include conversation prompt card. If carers feel good, this will reflect onto the person or people being cared for. Please contact me any time for further information, social interaction workshops, prices or just to chat about ways to enrich social care.